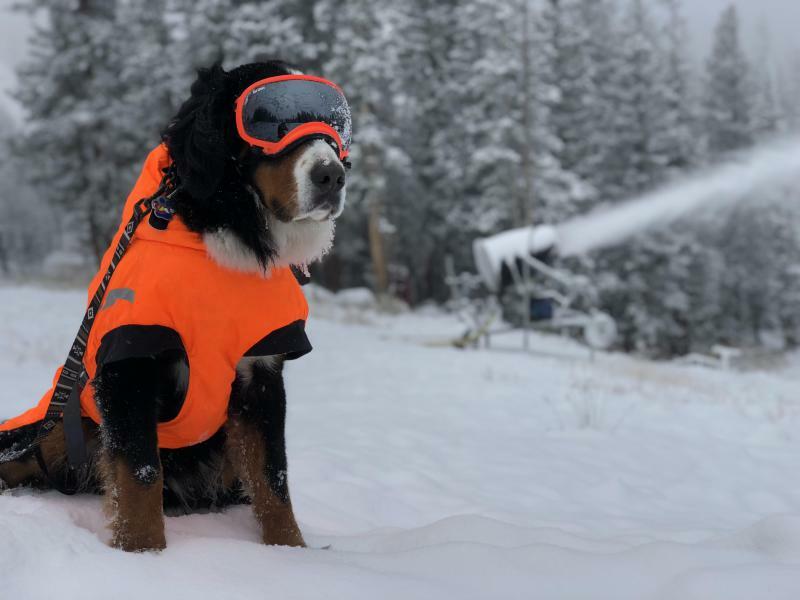 Loveland Ski Area's "Parker The Snow Dog" oversees snowmaking efforts on October 8, 2018. It’s an optimistic sign for the region’s ski industry, even as that major economic driver worries about the long-term effects of a warming world. Chad Gimmestad, Senior Forecaster with the National Weather Service in Boulder, Colorado, said it’s very early, but storms in the last week have put much of the mountain states at 150 or 200% of normal snowpack totals. Some parts of Idaho and Utah are even three or four times normal snowfall amounts. This is an El Nino year, which Gimmestad said usually means relatively normal snowfall for more southern states like Colorado and Utah, and typically dryer winters for northern states like Idaho, Wyoming and Montana.